Think of an equation as a balance scale that must always be balanced. What you do to one side of an equation you must do to the other in order for it to remain balanced. It’s important to remember that equations have an equal sign and expressions do not. We balance or solve equations, but simplify or evaluate expressions. If the variable (letter) you’re trying to solve for appears on both sides of the equation, move one to the other side. Get all your “???x?? ?’s to Texas” or get all the ???x?? ?’s to one side of the equation. Solve by working backwards from the order of operations. Use inverse operations until the variable is alone and remember to do the same thing to both sides of the equation so that it stays balanced. 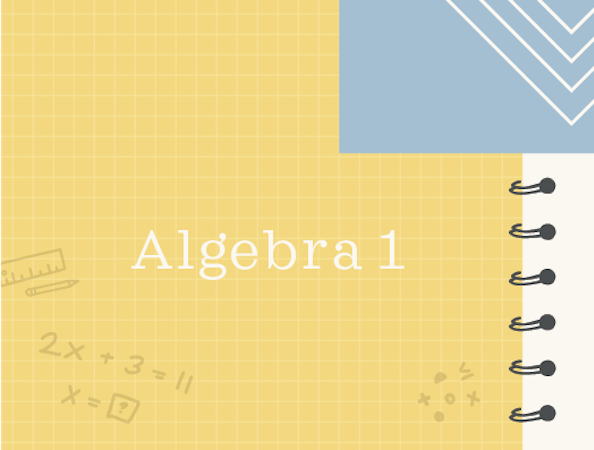 I create online courses to help you rock your math class. Read more. Solve for the variable by keeping the equation balanced. Simplify both sides of the equation by distributing and then combining like terms. Move all the ???x??? terms to one side. Use inverse operations and add ???15x??? to both sides to keep the equation balanced. Solve by working backwards from the order of operations. This means we need to undo the ???-2??? first by adding ???2??? to both sides of the equation to keep it balanced. Continue to get ???x??? alone using inverse operations. Divide both sides by ???9???. What if you have a different variable? The same thing! Move all the ???a??? terms to one side. Use inverse operations and subtract ???9a??? from both sides to keep the equation balanced. Solve by working backwards from the order of operations. This means we need to undo the ???-15??? first by adding ???15??? to both sides of the equation to keep it balanced. Continue to get ???a??? alone using inverse operations. Divide both sides by ???21?? ?.